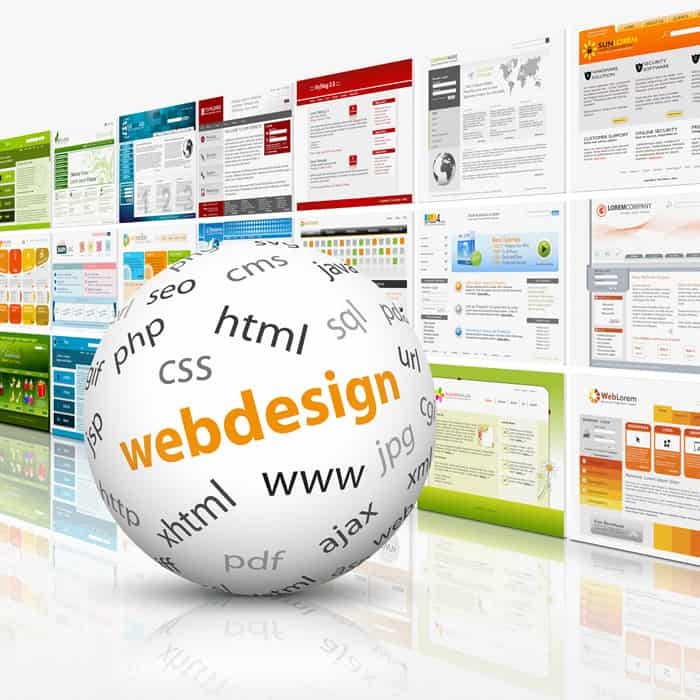 At Engaging Web Designs, we create websites that are modern, responsive and user friendly. We are dedicated to designing sites that fit our clients’ business needs, and we are experts at optimizing websites for Google searches in order to improve ranking and visibility among target users. As more users access websites using a variety of different devices, It is imperative that your website is responsive to various screen sizes. 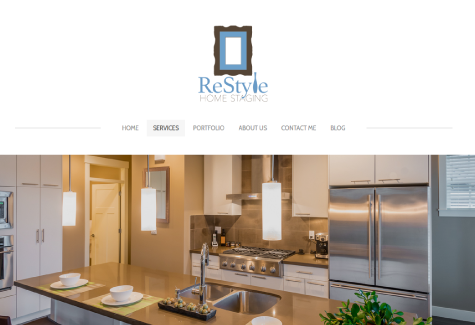 We design responsive websites that work well regardless of the device being used at any given time. 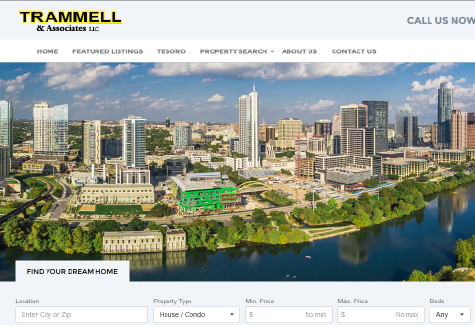 Our designs ensure a seamless experience for target users and consistent access to information through user-friendly navigation. Here at Engaging Web Designs, we take pride in our expertise at building highly professional, mobile-friendly, and search-engine optimized websites—without breaking your bank. 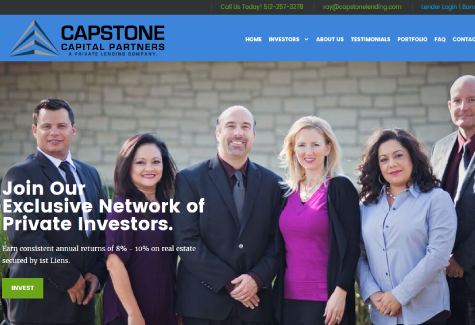 Capstone Capital Partners, LLC is a Direct Private Lender with a trusted network of seasoned private individuals who lend on first lien mortgages in Texas. 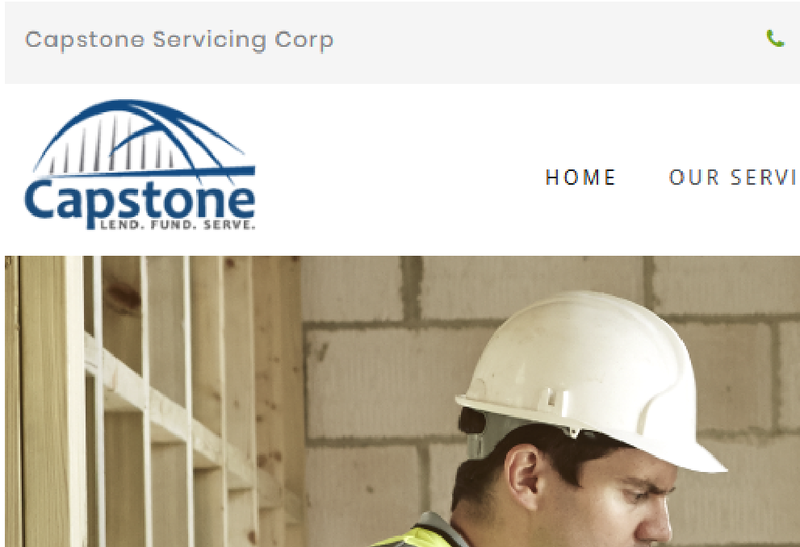 Capstone originates, processes and closes all loans in-house and along with our in-house Loan Servicing Company (Walter Servicing). 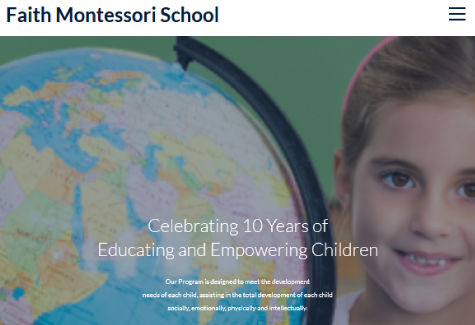 Faith Montessori House of Children was formed in 2004 by Kumari Mamuhewa. The school provide care for Toddles to children ages of 6. We designed her a sophisticated and modern site to promote and provide information about the school. 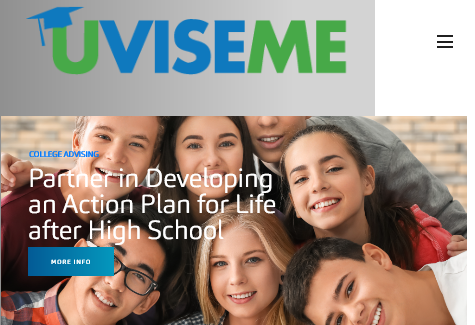 For over 20 years, UVISEME, LLC Founder Jenifer L. Price, PhD, LMSW has offered college and career advice to high school, early career adults, and their families as they journey through the college admissions and career selection process. 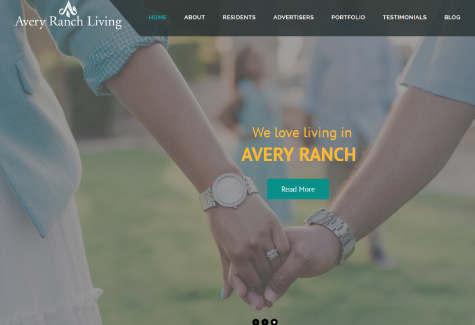 Avery Ranch Living is our community’s official social magazine. It is produced by the residents, about the residents, and exclusively for the residents of Avery Ranch. I’m a storyteller. I love inspiring people with great stories. I’m lovingly handmade in Austin, Texas. The fabric on my body is 100% cotton, and my pretty face is hand embroidered. I’m about 15 inches tall. Also, the perfect gift for ages 2+ and grown ups. Your company website is the most powerful marketing tool for your productsand services. We design your website to be effective and customer-focused to achieve your business goals.Having a quality website for your business is one of the important investments you can make to achieve your business goals. Here at Engaging Web Designs, we are dedicated to design a site that fits your business needs and target audience without costing you a fortune. We can help you design a professional and inspiring website that is modern, user friendly and responsive. We develop websites that are tailored to your unique business needs. We specialize in WordPressplatform which is an open source content management system that supports a wide array of incredible themes and plugins. With theVisual Composer, which is a page builder for #1WordPress, users of all levels can easily make changes and update their website. As most of the web traffic comes from mobile devices, our websites are responsive to all screen sizes to provide best user experience for all users. Search Engine Optimization (SEO) provides visibility to your site in organic search engine results. Here at Engaging Web Designs, we follow the best SEO practices to enable search engines to crawl, index and understand your content increasing the ranking of your site in search results. We use White Hat SEO to provide the bestvisibility to your site among your target users. Online adverting allows you to show your ads to people who are searching your product or services online. With online advertising, you can show your ads to the right people, in right place and at the right time. You can also track when users click your ads. Online advertising also allows you to reach potential customers when they use multiple devices – desktops, laptops, tablets and smartphones. Business owners are overwhelmed with running their daily business operations. They often don’t have the time to keep up with their website. Your website is the virtual doorway to your business and keeping your website upto date and provide accurate information to customers is vital for your business. We can take load off your shoulder and maintain your site and provide valuable insights to improve your site. WordPress is an open source platform which is quickly growing with features and Functionalities. To keep up with WordPress upgrades and updates, it is recommended that the site maintenance needed to be done at least every three months to six months. These include upgrading WordPress, cleaning out old plugins, cleaning template files, compatibility checks. Simply updating WordPress and keeping your site up-to-date provide instant boost in security and performance. Our CMS maintenance service will ensure your site works in prime condition. Thank you, Sathya! You and your team did a great job building my new website for Avery Ranch Living magazine. I appreciate your professionalism, timeliness, and helpful advice along the way. I'd certainly recommend you to anyone. Thank you again! 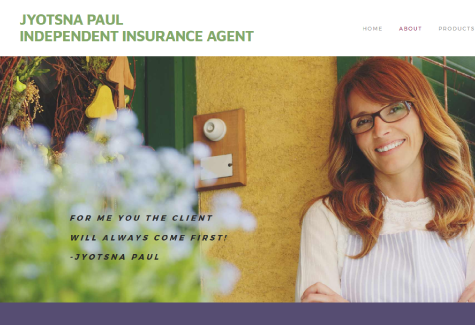 HUGE shout out for Sathya with Engaging Website Designs! 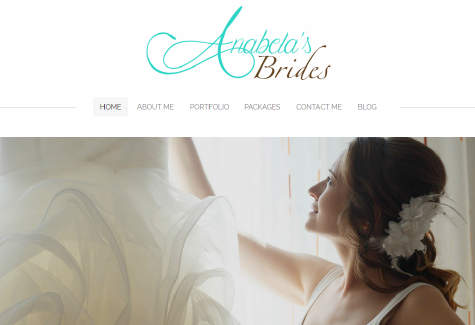 She created a brand new website for me that is mobile responsive, highlights my work beautifully and her pricing was great as well! I cannot recommend her highly enough! 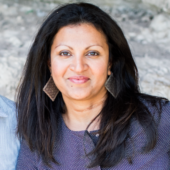 Sathya did my website a year ago, always answered all my questions and really took the time to explain every aspect of the work she did to my site. She captured the personality of my business extremely well. I highly recommend her! I had consulted with Sathya. She had great suggestions for my needs and had options for me to choose from instead of an entire package that I did not need. Best part (unlike with huge companies), she was easy to communicate with and was always available for questions. Engaging Web Designs, LLC © 2016 All Rights Reserved.